This is a study of the Luiseño people, who resided in the approximate area of Orange County in California. 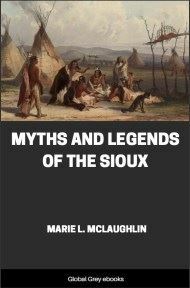 The book was published after the authors death, and it covers things such as Puberty Ceremonies, Bows And Arrows, Gums, Dyes, And Paint, Fishing, Clothing, Pottery, Shamanism, Government, and Marriage. The Luiseños belong to the large Shoshonean linguistic family, which includes the Bannocks of Idaho and Oregon, the Utes, Paiutes, Comanches, Mokis, and other tribes. Indians of Shoshonean family occupied the coast of California from the mouth of Agua Hedionda creek to about Point Duma. They also occupied the islands of San Nicolas, Santa Catalina, and perhaps San Clemente also. The first European to visit their territory was Juan Rodriguez Cabrillo, a Portuguese in the Spanish service, who in 1542 saw Santa Catalina island and visited what is now known as San Pedro bay. That branch of the family known as Luiseños occupied the coast from above San Juan Capistrano to the mouth of Agua Hedionda, and are thus the most southwesterly tribe of the Shoshonean linguistic family in the United States. We cannot pretend to give the exact boundary of their former habitat, but will do so as nearly as possible. Beginning at the mouth of Agua Hedionda, it ran so as to include what was afterwards the San Marcos rancho, also most of the Escondido rancho, one of their villages being situated in the ravine near the gold mine. From here the boundary ran so as to include the Mendenhall and Maxey ranches, also most of Guejito; from here to the San José valley, part of which it included; from here to near Cahuilla valley; from here so as to include Saboba and Temescal; and from there to the sea near San Juan Capistrano. The language spoken at San Juan Capistrano, as well as that of Saboba, differs considerably from that of the remainder of the Luiseños, and by some the people of those places are not included among the Luiseños. "Rio San Luis Rey de Francia," River St. Louis King of France, was the name given by the Franciscan friars to what is now known as the San Luis Rey river. Four miles up the river from its mouth was established the mission of San Luis Rey de Francia in 1798. Twenty miles higher up the river the mission of Pala, an outpost of San Luis Rey de Francia, was established in 1816. The Indians who were gathered at these two missions were called "San Luiseños" by the Franciscans. "San Luiseños," the equivalent of "St. Louisans" in English, has now been shortened generally to "Luiseños," and adopted by the tribe as their designation, they, like many Indians, having no name for themselves, except one merely meaning "people." The neighbors of the Luiseños on the south are the Diegueños, who belong to the Yuman linguistic family. On the north and east are other Shoshoneans known as Cahuillas. This appellation they were given by the Mexicans; it is not, as has been supposed, their native name. The Luiseños of whom we more particularly write are those living in the valley of the San Luis Rey between Pala and the San José valley. These formerly occupied not only the river valley but also Palomar mountain, and there is a tradition among them that they formerly went to the coast in winter. It must not be supposed that they wandered at will over this territory; on the contrary, each band had its allotted district, in which it alone had the right to gather food and hunt. Thus each band had its tract in the San Luis Rey valley, and another on Palomar, to which it moved during the acorn-gathering season. The land of each band seems to have been sometimes again subdivided among the different families of which the band was composed; at least that part of the land which was valuable for certain food products was thus subdivided. Each band seems to have guarded its allotted territory with the greatest jealousy, and more quarrels are said to have arisen over trespassing than from all other causes combined. When questioned as to when or how the land was divided and subdivided, the Indians say they cannot tell, that their fathers told them that it always had been thus. Many of the older ones remember how they were cautioned when young never to trespass on the land of others in pursuit of game or food without permission. Yet occasionally a band would become dissatisfied with its habitat, and forcibly intrude itself into that of another. An instance of this took place so recently as still to be remembered and spoken of. Luiseño geographical names are very numerous indeed, every small tract with any distinguishing feature being named. Sometimes there will be a name for a large tract of country, and then other names for small portions of such a tract. This is not, however, the rule. Usually each small tract has its name, without any general name for the larger area. But large tracts outside of Luiseño territory are known by a general name. Some geographical names are descriptive, but most of them are not. Many of the names given below are those of old village sites near modern localities and settlements, but now applied to these localities. Many names are derived from plants and animals which are or were abundant near the locality named after them.